Contents - Cisco SPA512G IP Phone, handset, and stand, Handset cord, RJ-45 Ethernet cable, Quick Installation Guide. Does not include power supply. The Cisco® SPA514G 4-Line IP Phone with 2-Port Gigabit Ethernet Switch provides advanced voice and data communications features small businesses need to stay productive and responsive. 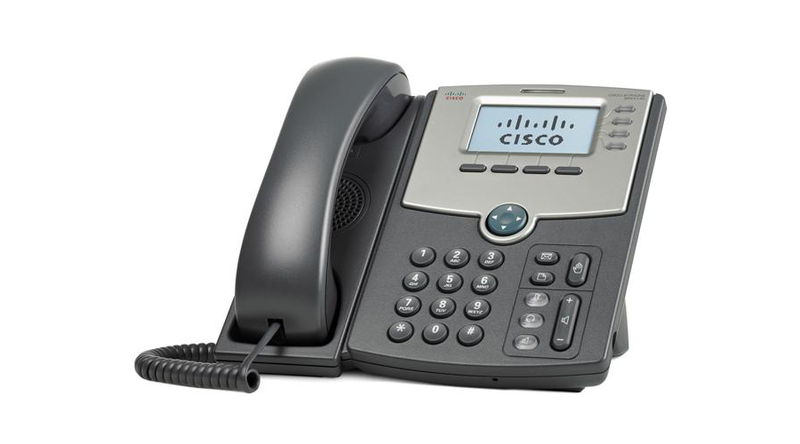 Based on Session Initiation Protocol (SIP), the Cisco SPA514G has been tested to ensure complete interoperability with leading voice over IP (VoIP) equipment from voice over IP infrastructure leaders, enabling service providers to quickly roll out competitive, feature-rich services to their customers.